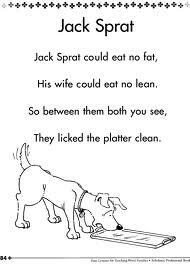 Eating with my kids is like eating with Jack Sprat and his wife. My daughter, loves things like steak, eggs, and yogurt. Potatos, pasta and cherry tomatoes are major offenders on her yuk list. My son loves all the things she hates and hates all the things she loves. When they were little I would order one meal and two plates. Carbs for him, protein for her. A not so ideal situation when they were little, grew into something downright annoying as they got older. It's hard to find joy in preparing meals when you know at least one person at the table will be miserable and will feel free to to tell you just how miserable they are. I tried all the suggested tactics. We insisted on polite bites. The kids visited the grocery store with me and I let them have input into the weekly meal plan. 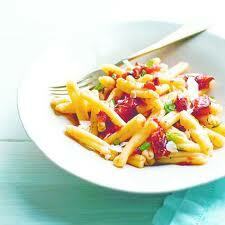 But by the time I had tried to meet everyone's requirements the meals I was making were far from joyful. In fact, they were joyless. Before you accuse me of hard-heartedness or report me to the authorities for failure to feed my children let me explain. First of all, I realized no one was in danger of imminent starvation. Secondly, I realized that cooking by committee was leading to bland dinners of blech. So I stopped. It was as simple as that. This week, dinner was Baked Polenta with Sausage and Artichoke Hearts, Pasta with Roasted Tomatoes and Capers and Broiled Chicken with Cucumber and Pineapple Salad. None of those meals are revolutionary or fancy. But they were fun to cook and my husband and I enjoyed eating them, even if the kids voiced complaints. One night Child #1 decided to forego dinner and one night Child #2 ate three bites. "That's okay," I told each of them. "You can always make yourself a peanut butter sandwich." Child #2 grumped about a friend's mom who "always makes good things like corndogs for dinner." "Wow," I said. "She sounds nice. Too bad you don't have a nice mom like that." 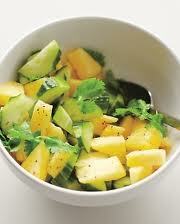 And then I joyfully took another bite of my Cucumber and Pineapple Salad. I said it on Wednesday and I'll say it again. Sometimes you have to find your own joy. If life gives you picky eaters, maybe the best thing to do is cook the things you love and trust that the only damage you're doing is the kind that can be remedied over breakfast. My mother used to tell us "I am not a short order cook." Though there was some bending to our whims. My brother didn't eat chicken and I didn't eat...well lets just say I make your picky eaters look like eating champions. I just got good about picking around the things I didn't enjoy, and my brother learned to make sandwiches. It took me until I was in my mid 20's to realize I found joy in eating and by being picky I was limiting that joy. Now I try to try everything, and if I dislike it so be it, but at least I tried. I took a leaf from a mom with 9 kids when it came to cooking. Dinner was what it was. You had the choice of eating or going hungry. Meals were nutritious and there was plenty. Mom and dad insisted on at least a tablespoon of what offended us as kids and eat it. If we didn't like what was for dinner, after those tablespoons, we could leave the table, but unlike your niceness, we weren't allowed desert or rummaging in the kitchen for an alternative. I only have one kid. I fix dinner for three of us, what he doesn't want, is fine, and while I try to include sides he likes, sometimes it is what it is. Like yours, he can always grab a PBJ sandwich later. He tends to grab fruit. I came to that conclusion, too. You don't want to eat it? I don't want to fight about it. Here' a spoon of peanut butter. Don't complain that you're hungry later. Good for you! Trust me, they won't starve. Kids are just picky eaters. When they get older, they'll try more things. Okay, I'm coming to your house for dinner from now on. Send your kids to my house. I'll give them mac and cheese and hotdogs. Or pasta. I do sauce or no sauce. If they want the sauce heated up, I'll show them the microwave. Oh I get it! I've got the pickiest of all pickies in my son. Heaven help him, he's going to by 4'11" if he doesnt start eating!!! I have to do this with my husband, lol. He's the worst out of all of them. Picky eaters would drive me crazy. I must've been the exception to the rule because I ate almost anything when I was a kid. Good for you! I seriously wish I'd been at your house for the Baked Polenta with Sausage and Artichoke Hearts! We are also getting to that point. My husband and I are learning to make what we know is good for dinner, and the children can eat it or fend for themselves. Haha! Excellent tactic my dear. I had similar advice this week which I am using with my little one. I was told to relax the rules and let things flow... I think it's working, at least I'm smiling a lot more. And don't worry, no child ever willingly starves themselves. They will always eat when really hungry. Hey there! 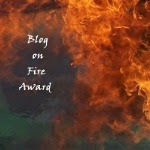 I'm late to the blogging scene this week, so caught up on your recent posts. Your kids are adorable, and yes your daughter looks just like you--your mini-me. I've got one of those too. My son an daughter couldnt be more different in their tastes--a real pain for cooking, but I have to agree that it's not worth stressing over. WHen they're hungry, they'll eat, and seeing a variety of foods served even when they dont like it helps broaden their horizons. Beylit, I'm so glad you found that joy. Sia, I think I like your mom! Joshua, there's a lot of peace in that conclusion. Kristin, anytime. We love dinner guests! Jessie, that's so funny. I keep waiting for my skinny son to start eating too. Cassie, I'm suddenly feeling very greatful that I don't have to contend with a husband picky eater. Gabrielle, I'm so glad that I'm not alone in the opposite eaters camp. Diane, I was the same way. Never a picky eater. Dianne, suddenly I'm all about fending for themselves. Talei, a little rule relaxation makes everyone's lives so much easier. Pk, thanks for all the nice comments and for doing all the back reading for this week! Rachel, thanks I'll stop by! I still can smell the liver and onions my mom made when I was a kid...one spit-out bite late I never graced the table again on LAO night. Curious I was the only one of four kids who didn't like it??? Do you think that means I was adopted? We have the same problem here. I still cook the kids 'their dinner' if my husband and I go all crazy with mexican or something they're not ready for, but, yeah, the short-order cook syndrome is a pain. For about 3 years (okay maybe six) son #2 usually resorted to the pbj for dinner. He's now 21, loves to cook, eats anything and did not suffer from malnutrition and the rest of us were happy. On the converse daughter #2 HATES peanut butter so she happily ate whatever was for dinner. She still can't cook but she eats just about anything (except peanut butter). Love your post!